We all know that for most people, a new year brings a fresh perspective on life. If you have been wanting to better your financial situation for some time now but have been putting it off, then perhaps 2016 could be the year that you change that! 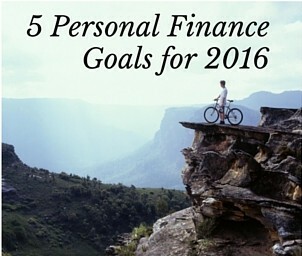 So what could be your potential Personal Finance goals for 2016? Here are 5 you could consider. Have you known for some time now that you really need to start saving more, perhaps for a deposit on a house or simply saving more towards your retirement? If this sounds like you then take a moment here to think about just how fast 2015 has disappeared. I’ve have been reliably informed that as you get older, the years seem to go even quicker, and this has certainly held true so far in my own life. If you know you need to save more money then there really is no time like the present to get on and do it, so why not make saving money a serious goal for 2016. Perhaps you’re doing okay with your saving habits but you want to see your money grow further and have thought about investing. Well, if you haven’t gotten around to doing it yet then making 2016 the year you open up a dealing account and start investing could be a great goal for you to have. We all know that markets can go up and down at any time, but if you do your research then it is true to say that there will always be opportunities to make money if you invest your cash wisely. Are a lack of savings or investments the least of your worries at this moment in time due to mounting debts? If this is the case then perhaps you could make 2016 the year you begin to pay off your debts! Paying off debt may seem like a daunting – or even an impossible – task, but there are countless examples in the personal finance blog world of people who have been in a terrible situation when it comes to debt, yet they have managed to work there way back to financial freedom within just a few years. If you need some inspiration and tips for paying off debt then please feel free to check out my eBook. Are you sick of getting to the end of the month and having no spare cash left? Or, maybe you’re even in the red at the end of every month and the stress is really mounting. If so, then 2016 could be a life changing year if you make the effort to start a budget and take control of your spending. Even the most frugal people can often make savings somewhere with the aid of a budget, so imagine how much you could save if you are looking at cutting your outgoings for the very first time! Our fifth and final recommended financial goal for 2016 is to increase your income. ‘Easier said than done’ you might be thinking, but is it really? Or, does it just require a little bit of effort and out of the box thinking? It really is possible to increase your income in a variety of ways, like starting an online side hustle or focusing on gaining new and more lucrative skills to name just two. So why not make 2016 the year that you send your earnings through the roof! Which of these goals will you be focusing on in 2016? Which Stocks Will You Be Watching in 2016?